Paolo Hewitt has known Paul Weller since they were both teenagers in the depths of Woking, through his ascent to fame with The Jam, the halcyon years of The Style Council and for all of his critically acclaimed solo career. 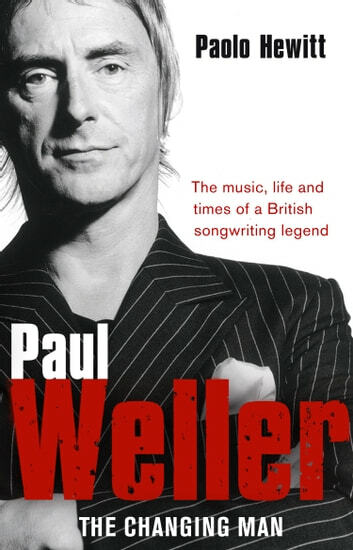 Hewitt has even been the inspiration for some of Weller's songs - and he has extraordinary in-depth knowledge of the inspiration behind the rest. Once, when Hewitt interviewed Weller for a music magazine, he complained - 'I don't know why people ask me all these questions. All the answers are in my songs.' Largely unnoticed, Weller has used thirty-years of lyrics to explore his personal history and beliefs. Taking as his starting point these lyrics, alongside a lifetime's friendship, Paolo Hewitt shows us the real Paul Weller, the man inside the music.